As part of the exhibition Subdivision organized by Allison Lacher and Jeff Robinson at the Illinois State University Galleries in Feb 2017, I was asked to manipulate a framed-out wooden façade that was made for each of the seven participants in the exhibition. As part of my contribution, I dismantled the vertical form and reused the materials to construct a framework for an experimental participatory project that considered the nature of political organizing in the era of Web 2.0. 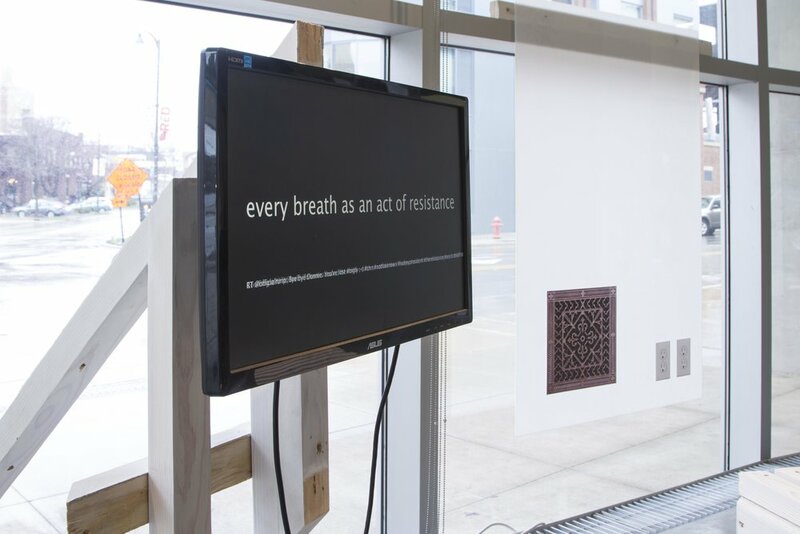 Using a real-time social media monitoring program as a backdrop to activate a set of megaphones within the installation, I engaged the structure as an open framework for which student organizations and activists could inhabit. After a preliminary solo performance for megaphones and voice, the structureoffered various communities a temporary site to return to, work in, strategize, and recoup for the rest of the exhibition. 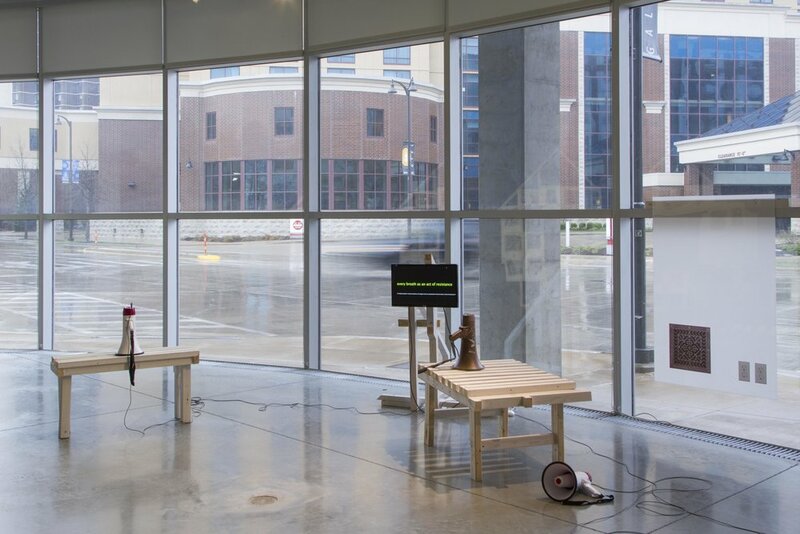 Using open source technologies, this work attempted to embody and present a framework that enabled collaborative interactions between organizers, communities, and the public.